The entire world�s supply of Tanzanite can be found in the foothills of Mount Kilimanjaro, making it more than 1000 times rarer than diamonds. 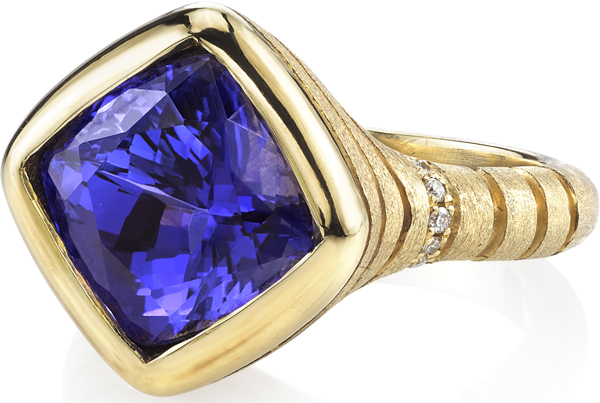 For people who value socially responsible, sustainable, and environmentally friendly gemstones, Tanzanite is a sure bet. Unlike other gemstones which can be mined in many different places and in different ways, all Tanzanite is found in one specific community and the mining is done in a way to uplift the native Maasai community and its natural surroundings. 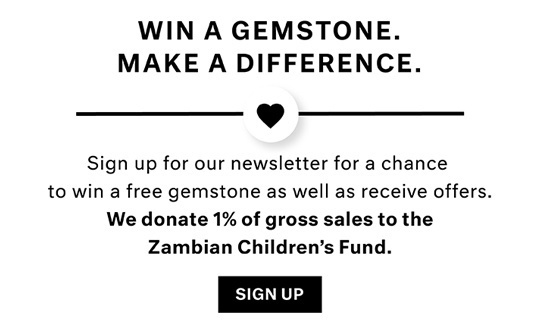 Resources from Tanzanite mining are channeled back into the community in a meaningful and sustainable way. So far there have been many projects initiated to support the native Maasai community socially and economically; through mining revenues they have built a medical clinic and a community center, organized infrastructural upgrades, improved safety, security, and increased the water supply. The environment has been protected as well by rehabilitating the surroundings of the mining area, reusing scrap metals, clearing debris all of which has encouraged natural wildlife to flourish in the area. Therefore, Tanzanite jewelry is win-win for all parties involved and you can enjoy your gemstone without any doubts or guilt about the mining process; with Tanzanite you can be confident that it was mined in a positive and responsible way. The watery lavender blue color of Tanzanite gemstones is something other-worldly. 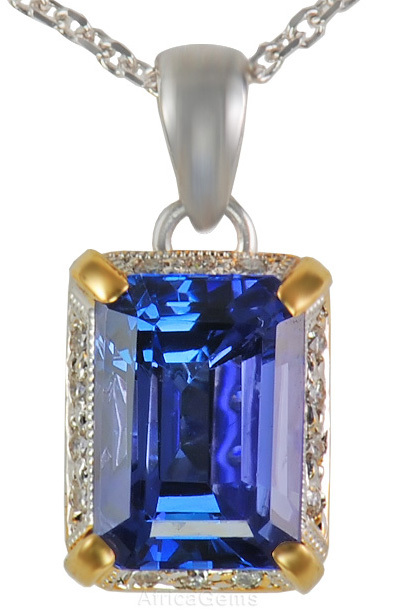 The color of Tanzanite is uplifting in its bright radiance and at the same time soothing in its cool blue hue. The heavenly blue color is so unique and stunning that Tanzanite gemstones and jewelry have become a big hit with celebrities and jewelry connoisseurs. At AfricaGems we offer the best of Tanzanite rings, pendants, earrings and matching sets. If you are looking for a unique and meaningful engagement ring, we carry many rings in the solitaire engagement ring style. 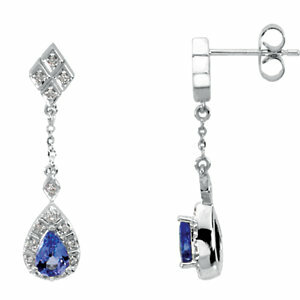 We also offer stunning pendants and earrings featuring beautiful Tanzanite set with white gold and diamonds. For those who truly value and appreciate Tanzanite, check out our Tanzanite jewelry sets featuring matching Tanzanite rings, pendants of earrings. 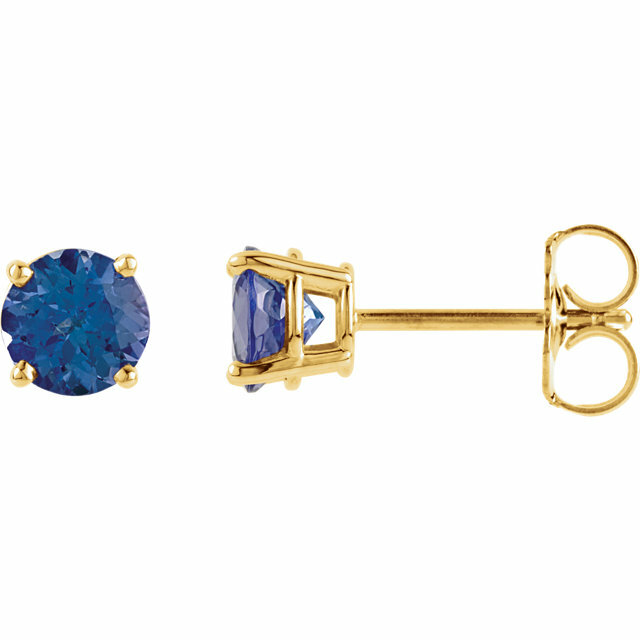 You save 15% on the purchase of an entire Tanzanite jewelry set.